Borussia Dortmund playmaker and top scorer Marco Reus could miss next week's Champions League clash against Tottenham with a thigh injury, the Bundesliga leaders revealed Friday. 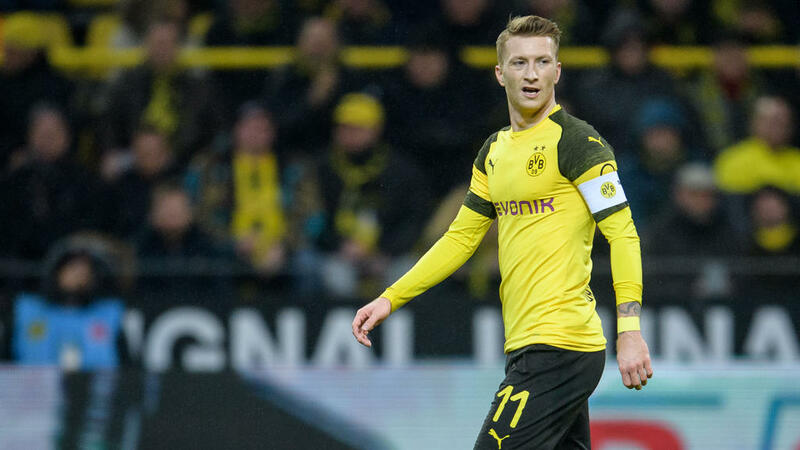 Reus has already been ruled out of Saturday's home league match against Hoffenheim, the final tune-up before playing Tottenham at Wembley next Wednesday in the Champions League last 16, first leg tie. The 29-year-old injured his thigh after scoring in Tuesday's German Cup defeat at home to Werder Bremen. Zorc says he hopes either first-choice goalkeeper Roman Burki or his back-up Marwin Hitz will be fit to face Hoffenheim. The pair missed the home defeat to Bremen with illness, leaving reserve team keeper Eric Oelschlaegel to make his Dortmund debut. "We have good reason to hope that both goalkeepers will be fit to play," said Zorc.